Our trout fishery in Central Colorado ranges from 5000 feet to 8000 feet above sea level leaving bug hatches during the months of November, December, January and most of February limited to midge hatches only. Midges will hatch up to six times in a season. So as long as water temperatures remain above 34 degrees Farenheit. 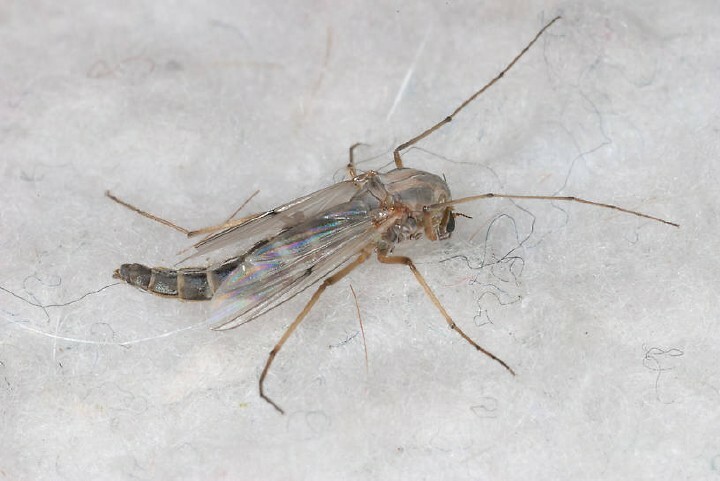 Different species of midges can hatch during the course of the same day. So it is best to pay attention to the size and color you see most frequently. In the Colorado River Basin, most of our winter midges range in size from 18 to 22 and tend to hatch during the warmest part of the day. It is best to go with a midge larva imitation prior to the hatch. Lots of midge larva fly patterns exist and many schools of thought are out their regarding which are most successful. One trait in common is that all midge larva have segmented streamlined tapered bodies. Usually only a simple wormlike body and a small head are all that is required to imitate the midge larva. The color of the midge larva varies from a dirty opaque clear to cream and olive to a reddish brown hemoglobin shade to almost a dark red or black hue. As the larva get more active but the flashy translucent characteristic remains. This is the strike characteristic that my favorite midge fly patterns feature. Years ago, a custom fly tyer in Lakewood, Colorado named Craig “Bead Head” Burton supplied my old fly shop with hundreds of dozens of a favorite midge larvae imitation. 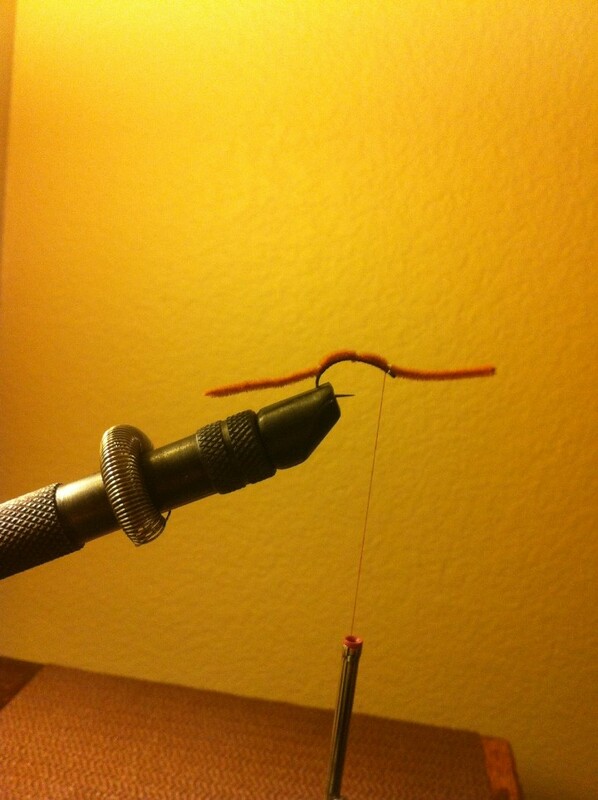 It is simple to tie, yet very effective fly pattern. Most trout are willing to accept if you are using the correct size (small) fly and tippet (6X). The Beaded Chamois Midge was a smaller thinner version of the Colorado Caddis Fly Chamois Nymph I used to tie for cream colored caddis larva imitations. The midge larva is tied on a TMC 200R style hook giving it the slightly curved shape of the natural. A small plastic gunmetal color bead is the head on this fly. Use a light cream colored tying thread 8/0. The body is simple enough, a small 1/16 inch treated and precut chamois strip. Chamois is treated by wetting it, stretching it, letting it dry and pre-cutting small 1 or 2 inch strips. Store it in a plastic bag after it has dried or it will dry out too much and become a rock hard unusable product. Easy to tie and extremely effective for imitating the midge larva in our local waterways like the Colorado River, Roaring Fork River, Frying Pan and Eagle River. The Beaded Chamois Midge can be deadly in the winter. You can use peacock or ostrich hurl for the head if you cannot find the gunmetal color beads. The Miracle Nymph or the Dirty Midge are alternative fly patterns for midge larva you can find in our shop. The midge emerger is the stage of the fly more fish will key on as it is easier for the trout to find when a hatch occurs. Think of it as a midge larva with a wing case and a tail. My favorite midge emerger fly pattern is Lance Egan’s Rainbow Warrior. 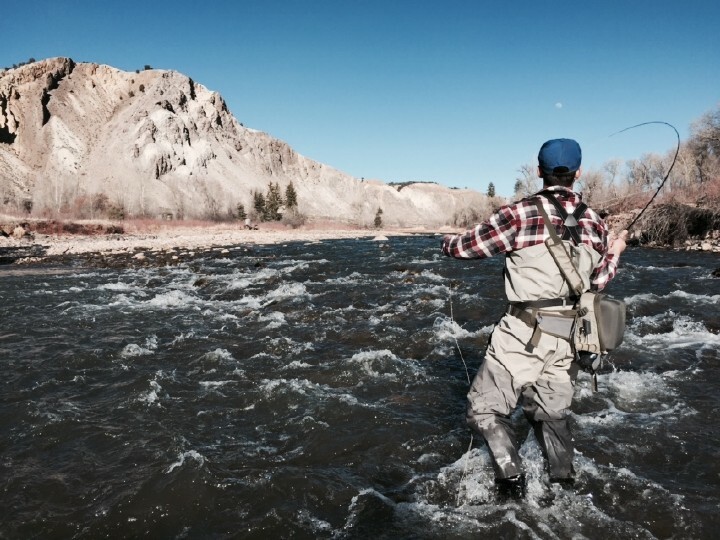 A longtime favorite fly of veteran Green River guides. 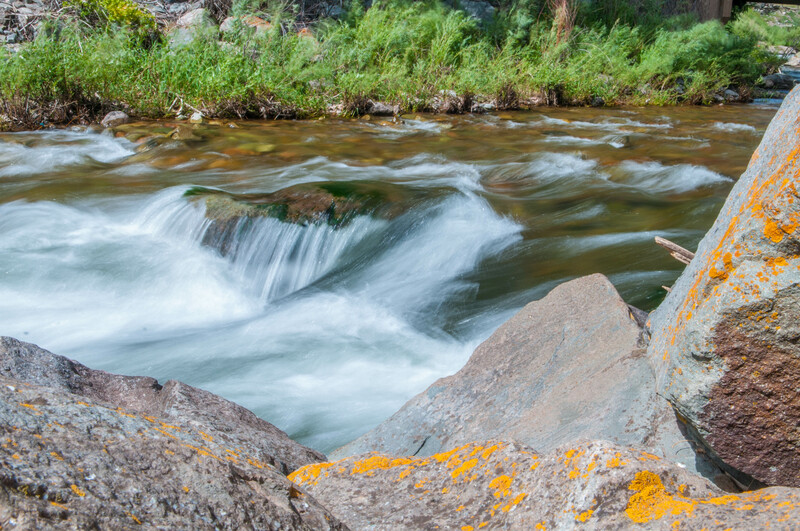 This fly actually works for the hundreds of trout you see while floating down this gin clear trout fishing treasure in south eastern Utah. The fly pattern not only comes with a tungsten bead but is now available in extra heavy tungsten option. Which guaranteed to get down to fish in your fastest tail water.Tied on the TMC 2457 or TMC 2487 emerger/pupae hook. The fly pattern is available in red, pearl and black. Pearl and black colors in size 18 and 20 have produced phenomenal results for me in past winter fly fishing seasons. If you need fly tying tips or need to purchase a few hot winter midge patterns please stop by the Vail Valley Anglers fly shop in Edwards, CO. We have the valley’s biggest fly inventory and all our staff are experienced fly tyers wiling to help and offer advice.